Ozone odour removal is 100% natural and environmentally friendly and chemical free. How does OZONE odour removal work? Ozone odour removal is an on-site technology which is relatively new to the cleaning industry. It is a way of cleaning while also sanitizing/disinfecting at the same time. Ozone treatment is an alternative solution to those harmful chemicals when eliminating that unpleasant or unwanted odour within your home, car or personal space. Yes, in the hands of a Certified Technician, who follows appropriate occupational health and safety requirements, ozone shock treatment is quite safe. Proper ozone treatment occurs in unoccupied spaces, with sufficient time given for the ozone to revert into safe, breathable oxygen. 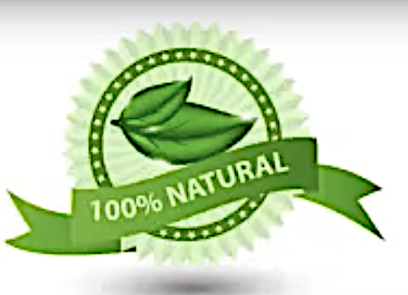 What’s more, ozone leaves no residue, and creates no harmful by-products or chemicals. The same chemical properties that allow high concentrations of ozone to react with organic material outside the body give it the ability to react with similar organic material that makes up the body, and potentially cause harmful health consequences. When inhaled, ozone can damage the lungs. Relatively low amounts can cause chest pain, coughing, shortness of breath and throat irritation. Ozone may also worsen chronic respiratory diseases such as asthma and compromise the ability of the body to fight respiratory infections. People vary widely in their susceptibility to ozone. Healthy people, as well as those with respiratory difficulty, can experience breathing problems when exposed to ozone. Exercise during exposure to ozone causes a greater amount of ozone to be inhaled and increases the risk of harmful respiratory effects. Recovery from the harmful effects can occur following short-term exposure to low levels of ozone, but health effects may become more damaging and recovery less certain at higher levels or from longer exposures. Car got a pesky pong Normal cleaning just won’t eliminate? Your vehicle will be more inviting for all passengers and you will be no longer be ashamed or afraid to have passengers discussing those offending Odour’s after they leave. Are you considering selling your vehicle? Once completing an “Ozone Shock Treatment” inside your vehicle prior to selling you will be amazed how appealing this will be to potential buyers. as your car, truck, bus or boat will be sanitized and Odour free pet Odour’s, smoke, mildew/mold Odour’s (in AC System and duct’s). There are many potential buyer’s that have allergens to many different contaminants; an Ozone Shock Treatment by No More Odour will have your vehicle potentially selling for a higher price and faster than other vehicles and can even receive a higher price. Know what your breathing and touching is safe and sanitized! Call No More Odour (08) 6 454 2702 Today! Want a Pleasant Scent in your Vehicle? After your Ozone Shock Treatment Request Thermal Fogging (Thermal foggers apply heat to deodorizers to create a smoke like fog that penetrate surfaces and reach difficult areas) from No More Odour. We Also will provide a fragrant Odour Block (similar to a vehicle air freshener but better). Your home will be more inviting for family and guests during special occasions or holidays. You will be no longer ashamed or afraid to have guests in your home and your visitors will no longer discuss offending Odour in your home after they leave. An Ozone Shock Treatment for your home prior to listing it for sell it will have your home appealing to more potential buyers as your home and AC HVAC Ducts will be sanitized. Your home will be Odour free of cooking Odour’s, pet Odour’s, smoke, mildew (in AC System and duct’s), dust, dead skin cells from people and pets. There are many potential buyer’s that have allergens to many different contaminants; an Ozone Shock Treatment by No More Odour will have your home potentially selling for a higher price and faster than other homes in your neighborhood and can even receive multiple offers. Home Got an odour you can’t get rid of? An Ozone Shock Treatment for your new home prior to moving in will insure that it will be bacteria, virus, allergen and Odour free. How can Ozone Shock Treatment by No More Odour help you? An Ozone Shock Treatment for a home or apartment prior to showing it will have the home, apartment. appealing to more potential buyers and renters as the home and AC HVAC Ducts will be sanitized. The home will be Odour free of cooking odours, pet odours, smoke, mildew (in AC System and duct’s), dust, dead skin cells from people and pets. Bio-Recovery Cleaning Services BRCS want you to be 100% satisfied! Due to the degree and causes of the offending Odour, no company can guarantee the offending Odour will be 100% gone. BRCS strive to remove as much as possible; we consider 90% reduction in the offending Odour to be very successful, BRCS Guarantees that the Odour will be less than prior to treatment. we will be more than happy to come back and retreat any area where you feel an Odour still remains – without charge*. Please note our “Guarantee Limitations” below. When a strong Odour remains after treatment it is usually due to a Hidden Cause, we do not guarantee our work. However, on a positive note, the smell coming from the hidden cause will be much easier to locate. The source of offending Odour must be removed before the ozone treatment can be completely effective. Otherwise, Odour will return. Note: Painting the surfaces in the house will cover the chemical that the smoke produces, but the smoke Odour is trapped behind the paint. Ozone cannot penetrate the painted surface. Bio-Recovery Cleaning Services specialises in Odour removal without the use of chemicals. With a “Super Charged Treatment” from one of our Ozone Generators, your Odour problems will be gone in just 12 hours. We are dedicated to providing our customers with excellent service, while also helping to make the world a cleaner and healthier place! After the treatment is complete your problems with Odour will be over, as long as the source of the Odour is not reintroduced and there are no hidden causes for your bad Odour issues. If Odour remains we will retreat the area at no extra cost to you*. Your satisfaction and happiness are what defines our business.